Vijay Deverakonda is enjoying his successful care with back to back hits. 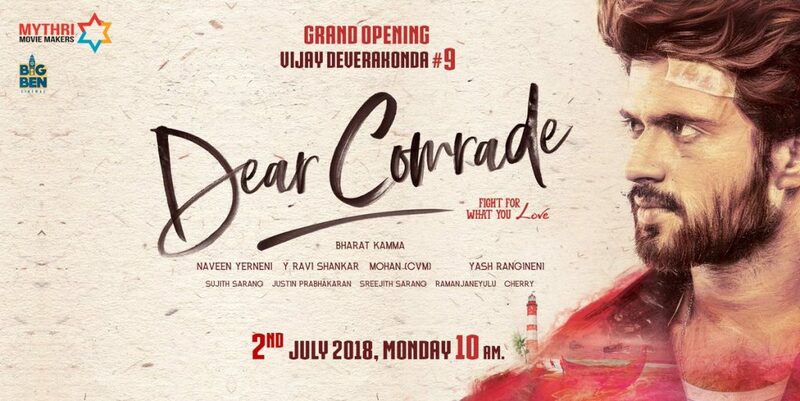 He is gearing up for his 9th movie Dear Comrade. The movie opening function will be held on 2nd July. The film is bankrolled by Mythri officials and BharatKamma Film. Rashmika Mandanna is essaying a lead role in the movie. Vijay is currently is shooting for NOTA a bilingual film releasing in Tamil and Telugu.